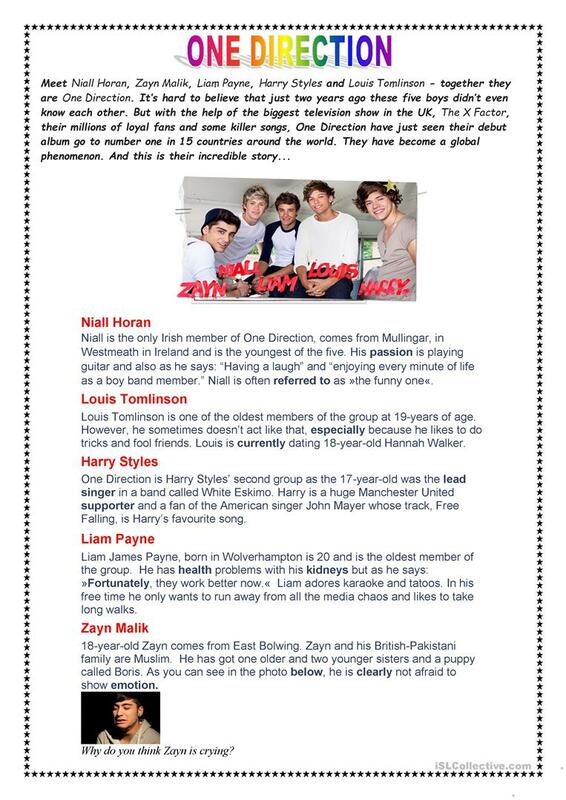 A worksheet about famous teen band One direction. Reading coprehension and work with dictionaries. The present downloadable printable is best suited for elementary school students at Elementary (A1) and Pre-intermediate (A2) level. It is a useful material for revising Present simple tense in English, and can be used for strengthening your groups' Speaking, Reading and Writing skills. It features the vocabulary topic of Music.